Dr Grant Duncan is one of the biggest Invisalign users in the world. In 2000, Dr Grant Duncan became one of the very first—if not the first—orthodontists to use Invisalign in Australia. He had been in San Francisco where he met the founders of Invisalign, Kelsey Wirth and Zia Chishti. At that time the technology was still in its early stages but Dr Duncan was intrigued. Over the next few years, Dr Duncan came to the realisation that Invisalign didn’t work very well and wasn’t a very good orthodontic appliance. Then at a dental conference in Las Vegas, he met with other Invisalign users and saw that he had been going about things in the wrong way. Braces are a three-dimensional appliance that can grab a tooth and move it freely in all directions. With Invisalign, all it can do is push—and it has to have something to push on. Dr Duncan appointed a key staff member in his practice to help him reach a goal of starting 300 Invisalign treatments a year within three years. In the process he became one of the biggest Invisalign users in the world. At the end of the three-year period, they totalled the amount of cases started in the preceeding 12 months and it clocked in at 300—exactly. 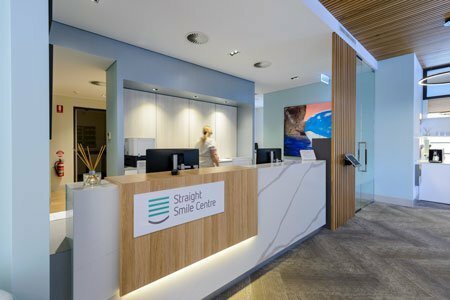 From this experience, Dr Duncan developed a consultancy program for running a successful Invisalign orthodontic practice, and from this The Invisible Orthodontist community was born. The 19th-century German philosopher, Arthur Schopenhauer, stated that: “All truth passes through three stages. First, it is ridiculed. Second, it is violently opposed. Third, it is accepted as self-evident.” Dr Duncan feels he experienced exactly that as he attempted to introduce Invisalign to the wider dental community. “When I made it known that I was going to treat most of my orthodontic cases with some newfangled plastic, there was an array of reactions from my peers,” recalls Dr Duncan. “But, in general, those reactions were at Schopenhauer’s stage 1 or 2, ridicule or violent opposition. In some ways it was fun to watch, as I understood the process within which I found myself. While the Australian Society of Orthodontists (ASO) agrees with Dr Duncan to some degree, they still see a place for metal braces in orthodontics. Dr Theresia Sudjalim, the chair of the Australian Society of Orthodontists Communications and Information Committee, says, “There has definitely been great advancements with clear aligners, particularly in the past decade. However, the idea that clear aligners are a panacea that can do everything traditional braces can do is definitely not true. Dr Grant Duncan and son, Nick, run The Invisible Orthodontist, the largest network of specialist orthodontists in Australia. There are many reasons why a patient would choose Invisalign over traditional metal braces. In fact, Invisalign has opened up a whole new market segment to orthodontic care—people who knew they had crooked teeth and needed braces, but who simply refused to wear them, often for aesthetic reasons. But Dr Duncan sees a number of physiological reasons to reject braces. Hygiene is definitely much easier to maintain with Invisalign as you simply take out the aligners and brush your teeth as normal. Dr Duncan claims that most of the negatives attributed to metal braces don’t happen with Invisalign because the teeth are moving in tiny intervals—as little as 0.1 mm per aligner. Once again, the ASO is slightly at odds with Dr Duncan. “If you have a patient who is prone to root resorption, then any type of tooth movement can cause a problem,” says Dr Sudjalim. “Some people say that alignment therapy is more gentle because there’s less force applied but you need to look at biologic individual variation. This will affect the outcome regardless of the type of treatment. In 2010, Dr Duncan and his son, Nick, started The Invisible Orthodontist (TIO). It began as an online consulting organisation but has grown to become the biggest group of Invisalign submitters in the world. The Invisible Orthodontist assists orthodontists in growing their orthodontic practices by helping them to establish themselves as the Invisalign experts within their communities. “We started with 10 people signing up,” says Dr Duncan. “Now there are 50 different TIOs in Australia and New Zealand. Five years ago, Align Technology started taking notice and encouraged us to emulate our Australian TIO experience in the UK. 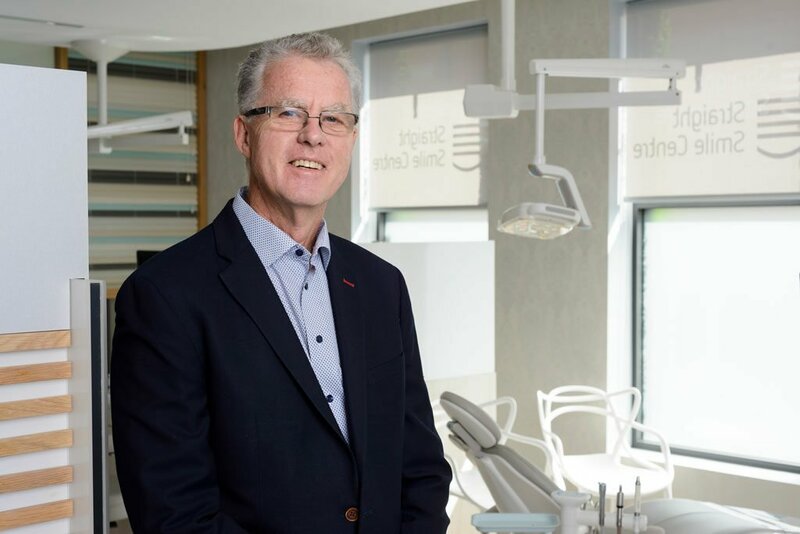 When Dr Duncan and his son started TIO UK, there was resistance, with many people claiming that because of the National Health System, people wouldn’t pay for dentistry or orthodontics. As an early adopter, Dr Duncan is always on the lookout for cutting-edge technology with potential. He sees great promise in a company called Dental Monitoring (DM). It provides artificial intelligence (AI) via a smartphone application. A patient uses the app by taking a video of their teeth every five days during their Invisalign treatment. “The AI analyses all the data and tells the patient whether they can go onto the next aligner or not,” says Dr Duncan. “It also tells them if they’re wearing their aligners frequently enough; if they have hygiene problems; if there are any problems with a particular tooth; if they have gum infections or if they have gum recession.” A 2019 addition in the AI space will be SmileMate (SM), a startup headed by Nick Duncan. SM has the potential to revolutionise orthodontics, bringing dentist and orthodontists together in the orthodontic management of their patients, and giving consumers direct access to specialist orthodontic care.